Geothermal energy is an energy source used to produce electricity whose environmental impacts varies greatly from one area to another, depending on the hydro-geochemistry composition of the geothermal ground and on the technologies used. In Mt. 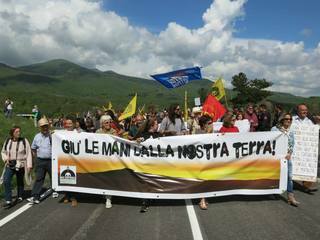 Amiata, Tuscany, local committees affirm that Geothermal energy practiced by Enel Green Power, is neither renewable nor sustainable. 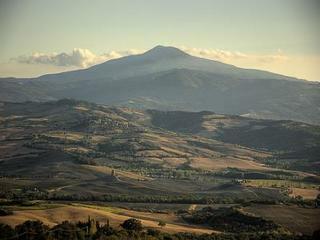 Mount Amiata is a dormant volcano located in the provinces of Siena and Grosseto in the southern part of the Tuscany region. The mountain aquifer, one of the richest in Italy, supplies water to about 700,000 citizens in the provinces of Grosseto, Siena and Viterbo. The exploitation of geothermal resources there began at the end of the 1950s. The oil crisis of the 70s led to an intensification of exploration and exploitation of geothermal resources for electricity production, especially by Enel. In the 1990s, a high enthalpy geothermal well was discovered at a depth of about 2 500-4 000m with high potential for electricity production. 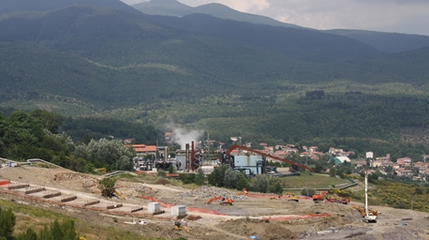 Towards the end of the twentieth century alarm has increased among local municipalities about the connection between geothermal exploitation, the reduction of the Amiata aquifer and the presence of high arsenic levels in water. Therefore, some administrations expressed the willingness to opt for a “controlled divestiture” of existing plants. However, in 2007, a turnaround has occurred and the majority of local administrations signed a Memorandum of Understanding with Enel and the Tuscany Region for the exploitation of geothermal energy in exchange for annual economic compensation . The local municipality of Abbadia San Salvatore did not sign the agreement because of strong opposition to the geothermal exploitation of the area. Enel Green Power has over the years implemented several geothermal plants in the area. Currently it has four plants in the municipalities of Piancastagnaio and Santa Fiora. In 2012 Enel received the Integrated Environmental Authorization (IEA) for the new geothermal plant of Bagnore 4, whose construction started in March 2013. 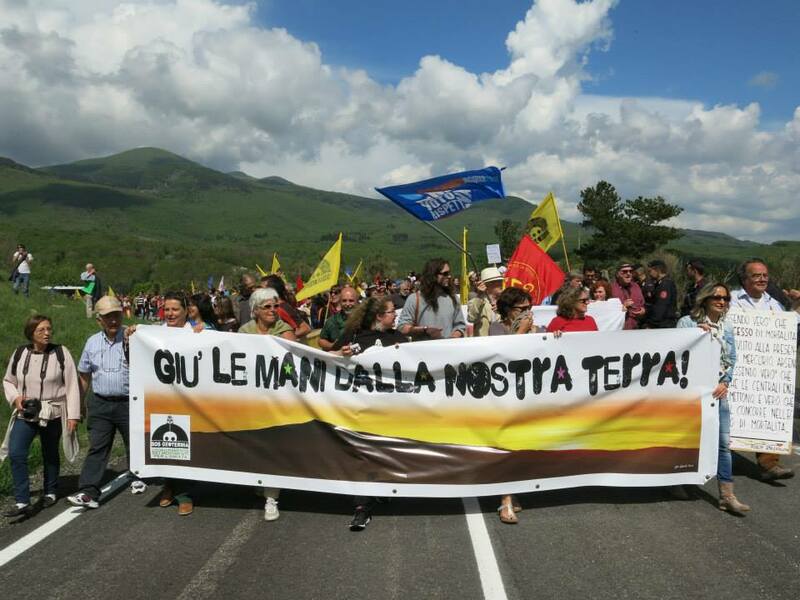 In December 2013 environmental organizations lodged an appeal against the authorization to the Regional Administrative Court (Tribunale Amministrativo Regionale, TAR) which temporarily revoked the IEA in January 2014. Local committees attribute the decrease of the Mt. Amiata aquifer, the increase of arsenic in drinking water and the increment of pollutant and harmful substances in the air to the exploitation of geothermal energy implemented by Enel. The Tuscany Region supports Enel's projects. The latter receives green certificates, subsidies and public funding and distributes to the regional authority and the municipalities an amount of money for environmental compensation as agreed in the 2007 MoU. 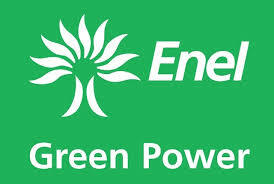 Enel also gains the ability to produce energy in other places with fossil fuels, thanks to the carbon offset system. Citizens of the area gathered in March 2012 in a public assembly, and created the network “Coordination of Movements for Amiata – SOS Geothermal”, which brings together those opposing the destruction of the territory of Amiata. The network claims that environmental destruction is perpetrated by promoting the false belief that geothermal is a renewable and clean source of energy. In the case of Amiata local committees brought to the attention of institutions and citizens the drastic reduction of the aquifer caused by the interference between the shallow aquifer for drinking water and the deep geothermal aquifer. Furthermore, they warned about the increase in the concentration of dissolved and accumulated heavy metals in the surface water and the emission of vapors into the atmosphere rich in carbon dioxide (the main emission from the geothermal field), mercury, arsenic, hydrogen sulphide, ammonia and other pollutants causing serious damage to the environment and health of inhabitants. Other serious menaces concern the risks of induced seismicity and subsidence. While the existing plants carry on working and new plants are planned, “SOS Geotermia” continues to disseminate information –based on scientific studies- on the impacts of geothermal activity in their territory and to promote discussions and confrontation with local municipalities. Project Details In Italy, geothermal plants produce 1.8% of the electricity generated at the national level. 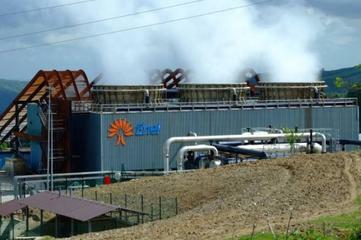 In Tuscany, geothermal power accounts for about 25% of total annual electricity production. One of the objectives of geothermal development in Italy is to increase the production of electricity from alternative sources, in order to lessen dependence on fossil fuels and to reduce CO2 emissions (to align with international protocols and European directives). In Mt. Amiata Enel currently has 3 plants (Piancastagnaio 3,4 and 5) that cover an area of 25 km2 consisting of 19 production wells and 11 injection wells in the municipalities of Piancastagnaio (producing 60 MW). In addition Enel owns a plant (Bagnore 3) that covers an area of 5 km2 consisting of 7 production wells and 4 injection wells in Santa Fiora municipality (20 MW). The new project Bagnore 4 (totalling 40MW) involves the construction of two sites of 20 MW each, the drilling of two new production wells and two re-injection wells. Bagnore 4 should produce 310million kWh per year. In July 2013 Coordinamento SOS Geotermia and other national networks organized a one week camping in Mt. Amiata opened to committees and civil society. The national meeting aimed to stimulate discussions and share good practices on how to face resources commodification, nature financialization, green economy and how to guarantee environmental protection through citizens participation and democracy. The event was created to link up movements fighting to protect their territories against common goods privatisation and destruction. Other Geothermal power plants in the Mount Amiata area emit in air a high variety of non-condensable products (CO2, H2S, NH3, CH4). In addition Geothermal gases emitted also contain traces of mercury (Hg), arsenic (As), antimony (Sb) selenium (Se) and chromium (Cr). Carbon dioxide is the main emission from the geothermal field. The greenhouse gases emissions from geothermal power plants cannot be considered negligible. The Amiata aquifer, since the '60s has decreased by about 200 meters. There is evidence of the connection between the shallow aquifer for drinking water and the deep geothermal aquifer . Mount Amiata is an high seismicity area and geothermal exploitation threatens to cause earthquakes. Other An epidemiological study of Monasterio Foundation in Pisa realized on behalf of the Regional Health Agency documented the increase of serious pathology and mortality in relation to increasing concentrations of the pollutants emitted by geothermal power plants. In the Amiata municipalities, the average of mortality is 13% higher than everywhere else in Tuscany and closer towns having the same lifestyle. 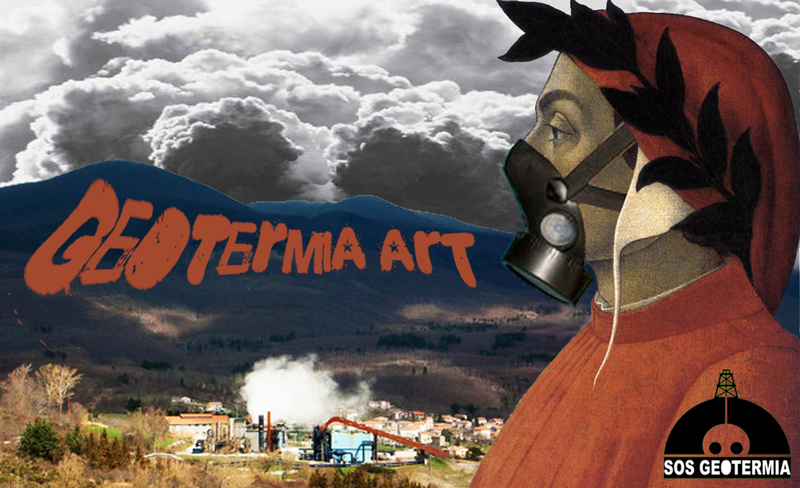 Development of Alternatives SOS Geotermia network propose to stop the construction of new geothermal power plants and call for a moratorium for the existing plants following the precautionary principle. Why? Explain briefly. Local committees have been able to bring problems related to geothermal exploitation in Mt. Amiata to the attention of local administrations. They managed to temporarily stop the construction of the new central Bagnore 4. Currently plants are operating. Progetto di ricerca epidemiologica sulle popolazioni residenti nell’intero bacino geotermico toscano “PROGETTO GEOTERMIA”, Ricerca medica e di sanità pubblica, Fondazione Toscana Gabriele Monasterio, October 2010. Bertani, R., 2012. Geothermal power generation in the world 2005-2010 update report.